Moving to Ulsan, Korea was not our first time overseas. When moving to a new country half way around the world, it is understood that life will be different than “back home”. For us Texans, we knew upfront that TexMex food would be hard to come by and that the Dallas Cowboys’ game wouldn’t be on T.V! But in expat life, you tend to make the best of any situation. So while life is certainly different as an expat, the best of life from “back home” can still be had… it just takes a bit more effort and perhaps a little compromise. Watching American football online at 4 o’clock in the morning isn’t so bad! But what about church life? Over our previous three overseas assignments, we noticed that church life seems to be an area where expats – myself included – quickly give up because the local offering isn’t the exact same as “back home”. Lots of energy is expended to find inventive and creative ways to replicate most everything else we miss from home (AppleTV + VPN = Netflix), but folks don’t put that same level of effort into linking-in with a group of Christians. Looking back over those assignments, my family had so much fun and made lifelong friends – but there is some regret. My growth as a Christian suffered during that time because I didn’t put in the effort or make the small compromises to meaningfully participate in a church. I resolved to do differently for this assignment. My wife (Meredith), my two kids, and I arrived in Ulsan in February 2012. Within a few months, we had made friends with two other families who felt similarly and agreed to meet each Sunday morning for a worship service. The beginning was modest – we simply huddled around a laptop and streamed a sermon while the kids watched Veggie Tales in another room. But that modest worship service seemed to scratch an itch, because we soon found more and more families that wanted to participate. 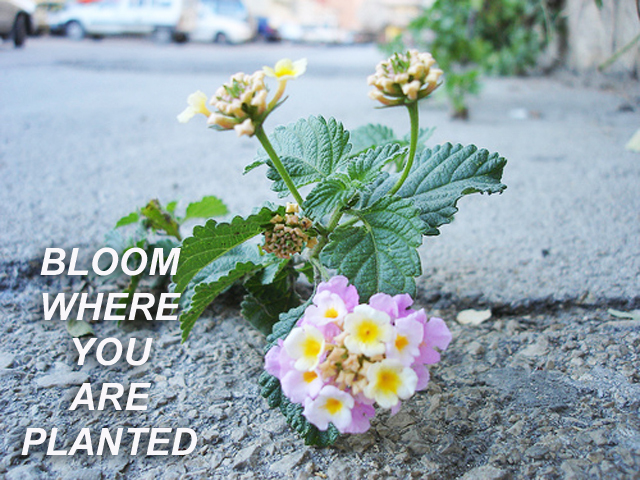 Thus was born “Bloom Where You Are Planted”, or “Bloom Church” as we often call it. We now average more than 50 adults and children that meet for worship each Sunday at the HFC Clubhouse representing a range of Christian denominations and nationalities. Three Sunday School classes are held for the children according to age group while the adults meet separately. 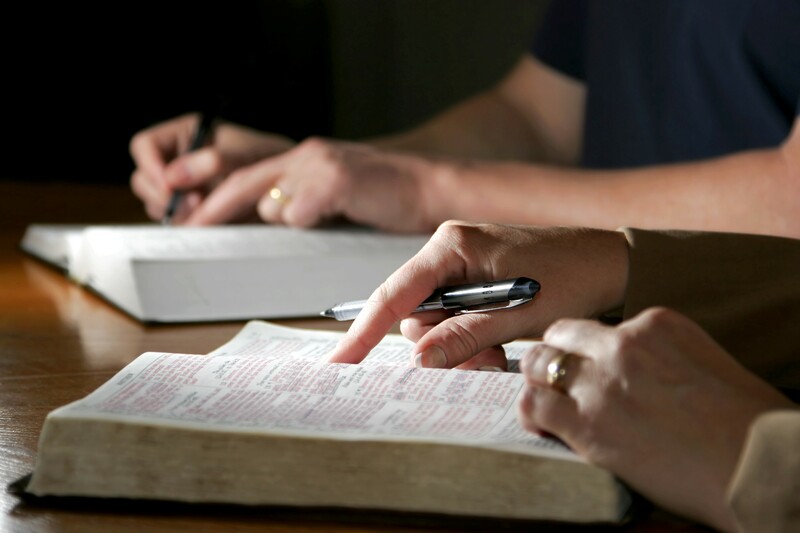 Throughout the week, there are two Men’s and two Women’s Bible Studies and the C.O.O.L. Club (Children of our Lord) meets on Wednesday directly after school. Bloom also sponsors regular fellowship BBQ’s, camping trips, and nights-out. The whole operation is organized by volunteers. It has been a true blessing to watch God take a little effort and multiply the results. The motto of “bloom where you are planted” is particularly well-suited for expats. We have all been “planted” here in Ulsan for one reason or another. But will we “bloom”? From a Christian perspective, that requires regular and intentional association with other Christians for worship, strengthening, and accountability. It is hard – if not impossible – to go at it alone. Bloom Church is a great setting for fellowship with other believers and we would love to have you join us. But Bloom Church is nothing fancy and – yes – it will undoubtedly be different from your home church. There is a disco ball in our worship place for goodness sake! The service includes the basics such as praise songs, the Apostle’s Creed, a sermon, and we always close with the Lord’s Prayer. Yet, there is no pastor (sermon is streamed), pulpit, pews, hymnals, choir, stained glass windows or other accoutrements you may normally expect. It all comes back to effort and compromise. Participating in a church here won’t be exactly the same as back home. And you’ll likely have to compromise on some liturgical preferences. But the risk is too high if you sit out of the game and the reward is so great if you join in! Whether it is Bloom or another local church, if you are a Christian – find that place where you can bloom.